I get the winter blah, blah, blahs this time of year. I start detesting the sight of snow, the bank thermometer that reads 7 degrees when I’m driving through town, and the way my warm socks get wet when I’m walking through small puddles of melted snow in the laundry room. 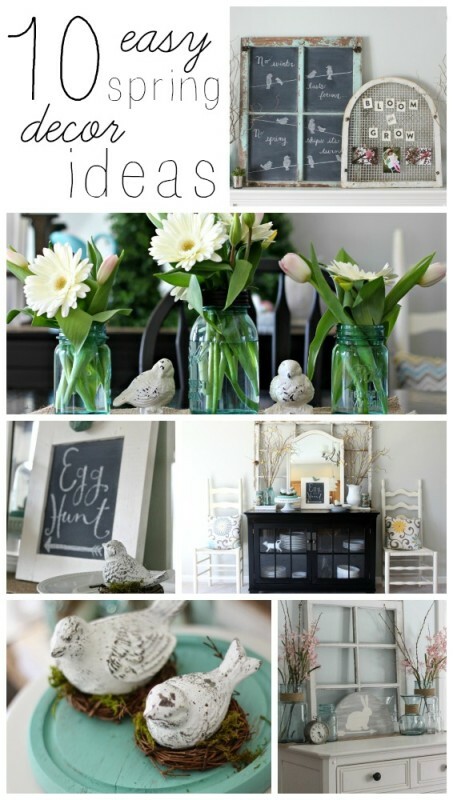 I’m combating my winter woes by thinking about spring decorating. 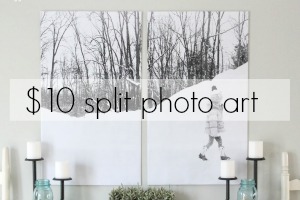 It’s almost time (in blogger-time, which is a different time than most people are on) to start decorating for spring. 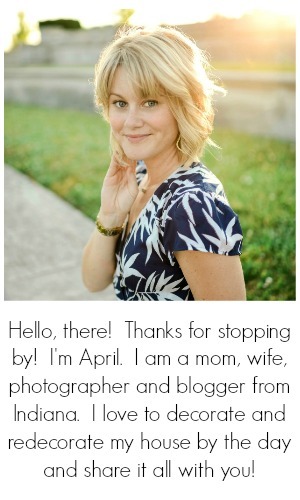 I’ve been combing Pinterest, the spring PB catalog, and my own blog (ha!) to get excited for spring. 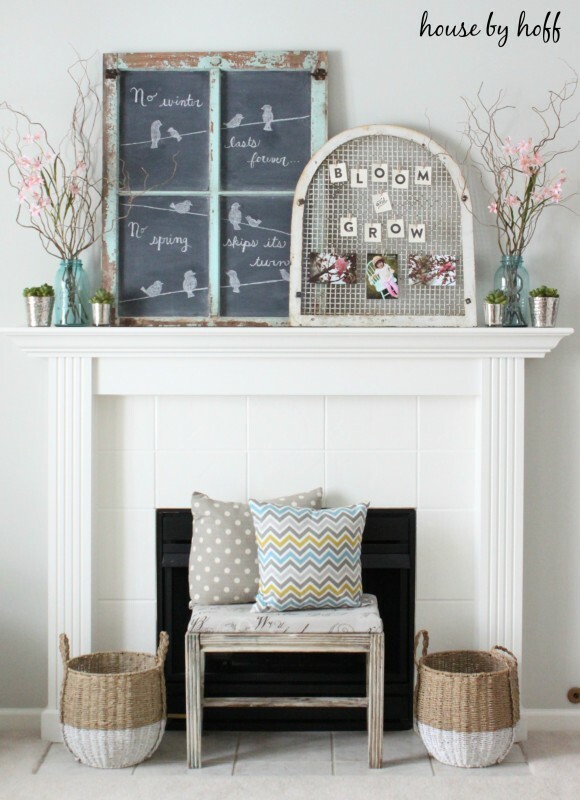 I still love my Spring Mantel from last year. The birdies on the chalkboard were my favorite! Would it be bad to do the same thing this year? My Spring Vignette from last year was a keeper! It was the first time that I put that window frame on the buffet, and it’s still there. 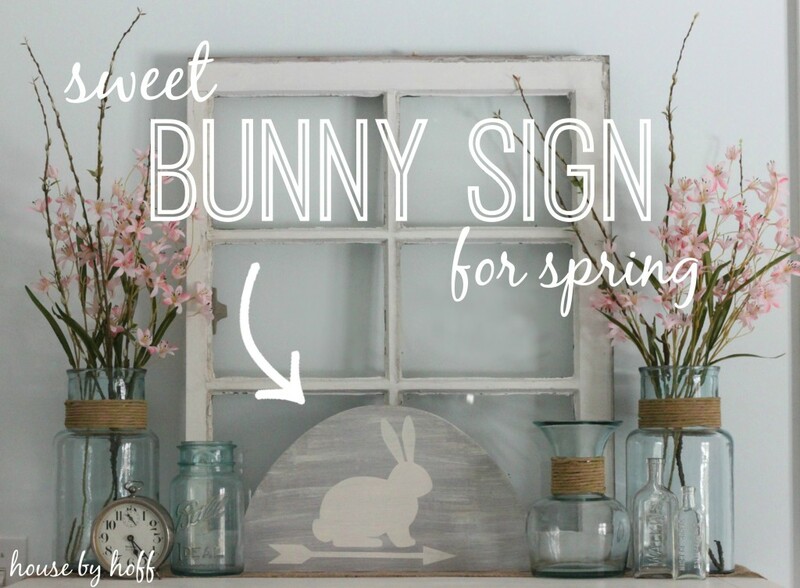 This Sweet Bunny Sign for Spring was a Goodwill transformation! Somewhere under the bunny and gray paint is a dated welcome sign. I am definitely going to be pulling out my birdies this spring! 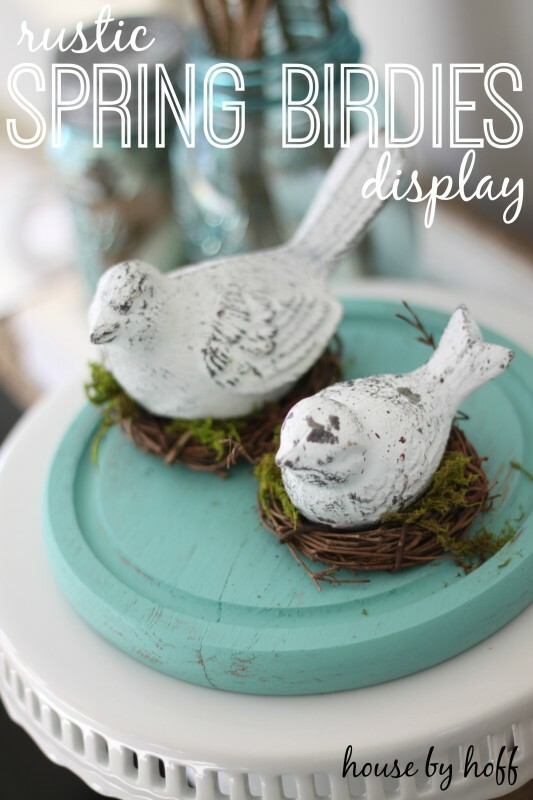 This Spring Birdies Display hit just the right note! 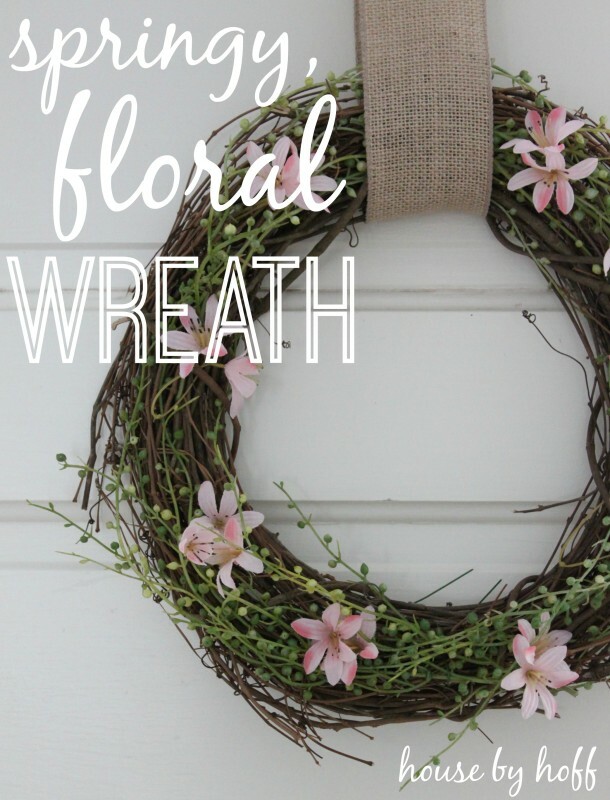 This Spring Floral Wreath was one of those “make in 20 minutes with what you have” projects. Love that kind of project! 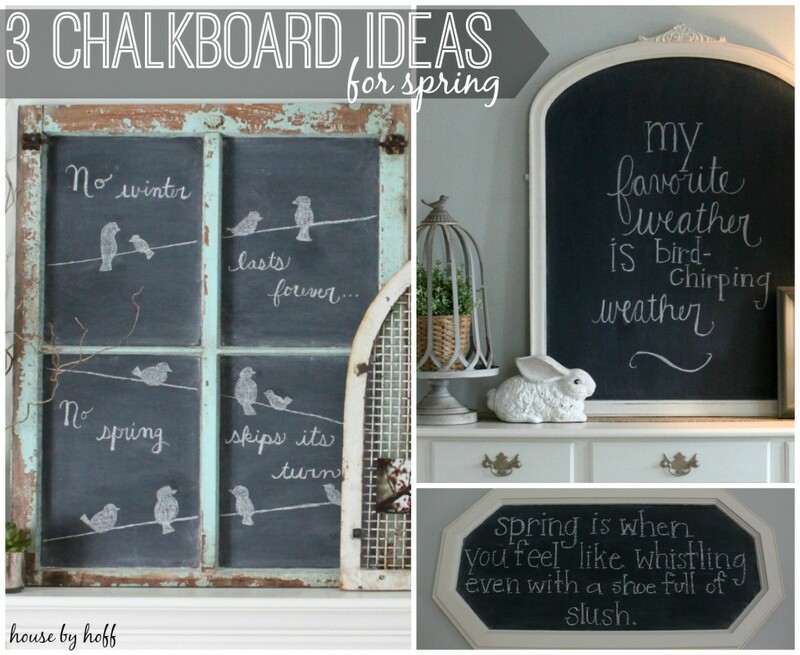 I do love a clever chalkboard…check out this post with 3 Chalkboard Ideas for Spring! 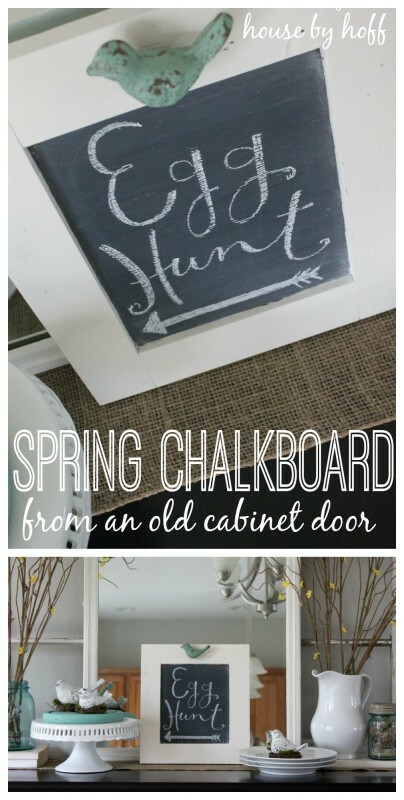 Speaking of chalkboards, check out this Spring Chalkboard from an Old Cabinet Door project! 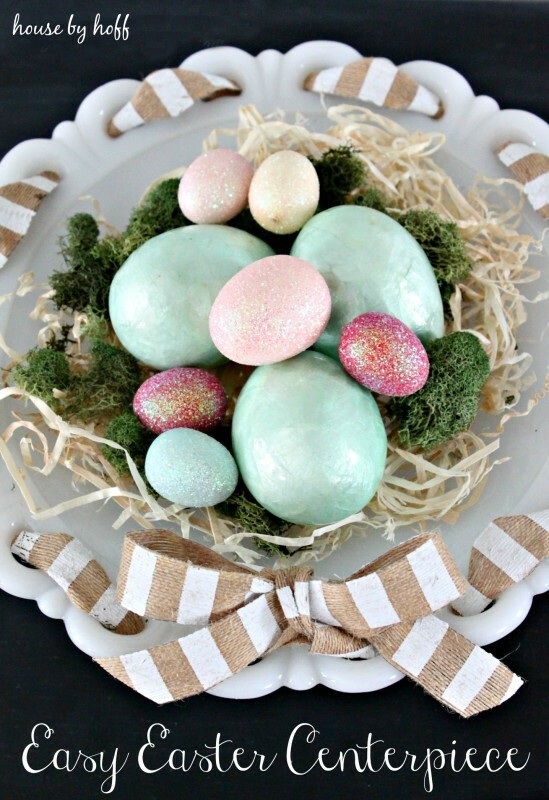 I still love this Easy Easter Centerpiece made from some Goodwill finds! 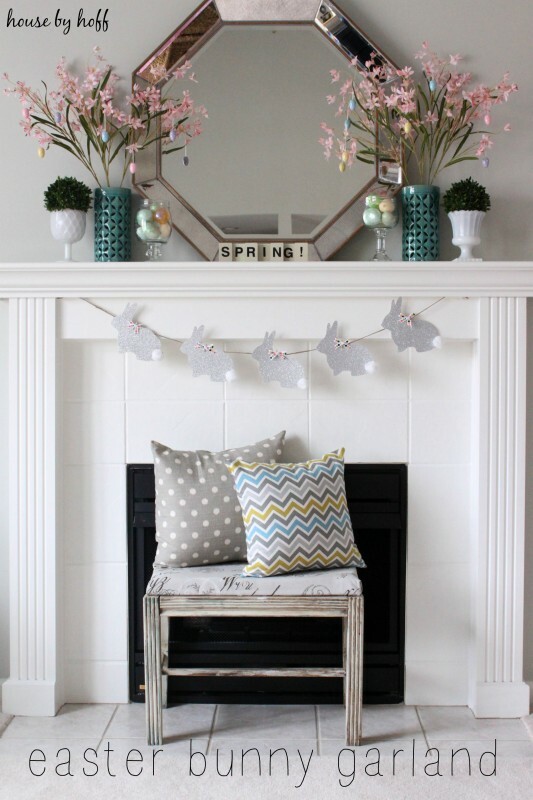 This Easter Bunny Garland was SO easy to make. I laugh when I see this project because I remember how I had to practically break down our guest room door to get my supplies! I love this gorgeous arrangement of tulips and Gerbra daisies that my mom arranged in blue ball jars for our Easter centerpiece nearly two years ago! 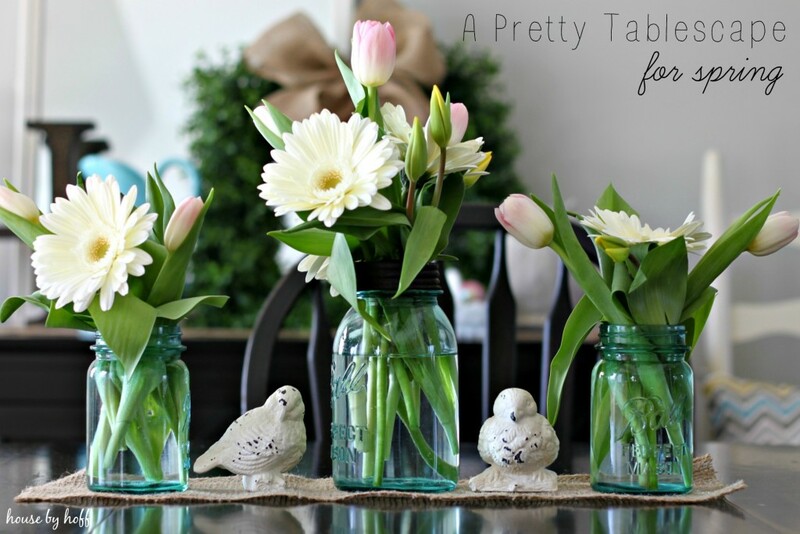 Check out this Pretty Tablescape for Spring! Okay. 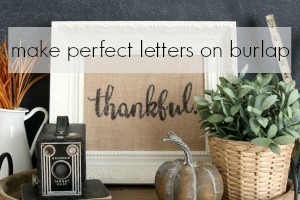 Now that I’ve put this post together, I’m just itching to decorate for spring! One more thing! I’m participating in an amazing cash giveaway opportunity! The Luck of the Irish Giveaway is a chance for 3 winners to receive $500 in Paypal cash! Click here for more details! This is so sweet! I am getting my home ready to welcome in Spring. I live in Wisconsin and feel like it will never get here. So I am making my home reflect what I hope will happen. I love all of the additions of bunnies, birds, and greenery you added. Thanks, Emily! I can’t imagine that there is a place colder or more miserable than Indiana right now…except maybe Wisconsin. 😉 Hang in there, the end is in sight! Oh ya!! I’m ready for spring to!! Even though I’m wanting a lot of snow before spring begins!! Today it has snowed just a little(ugh) I wanted more than a little dusting! (ha,ha)Maybe the end of the week we will get more!! My husband and I live in Shawnee,OK. I know alot of people are so tired of snow because of where they live. But down here we don’t get so much snow very much each winter. I’m trying to create a country theme for my home & you just gave me some great new ideas how awesome is that!! 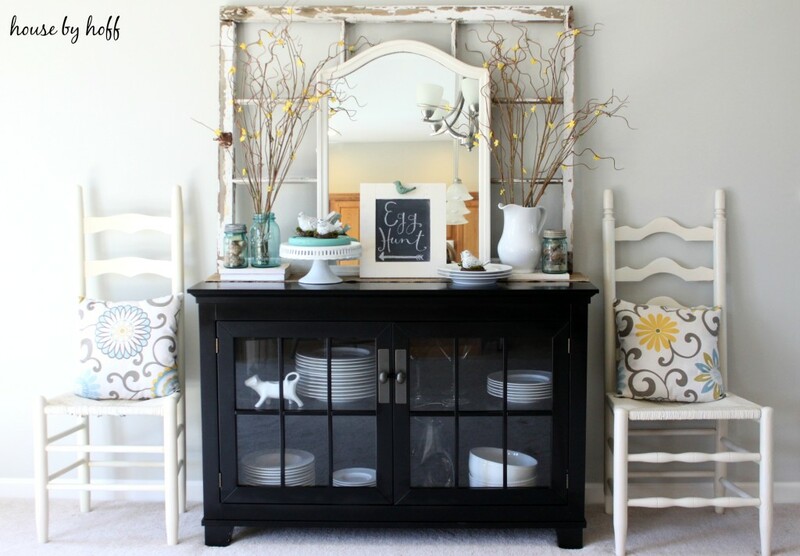 Where did you get the black cabinet with glass doors? So pretty!